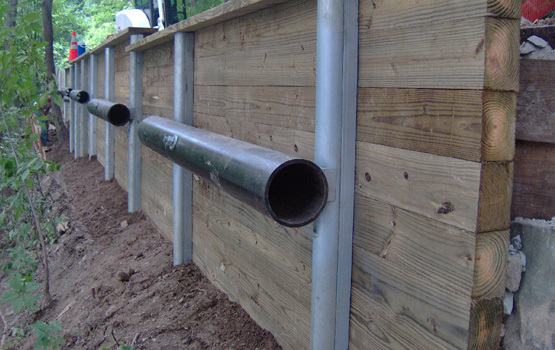 Whether you need a temporary shoring solution, or a permanent retaining wall, CMI can help. CMI has years of experience performing structural work, concrete work and extensive experience building and repairing retaining walls; providing superior structural engineering services. Depending on the purpose of the retaining wall or shoring solution, CMI will design and install a shot-crete, pile and lagging, anchored tie-back walls or top-down system. Each retaining wall solution is unique, call (888) 300-3936 to speak with one of our consultants about CMI’s earth retention solutions, and how they can work for your project.